You are running esxi 4.1 and want to know how and where you install your license key.When you initially download and install esxi you get a temporary license of 60 days, when it expired you will need to install a valid license. This is simple but if you do not know your way around the esxi console then you may struggle to find it. once done you will then get access to your license key. Then , login to the esxi console with the vsphere client and select your host. 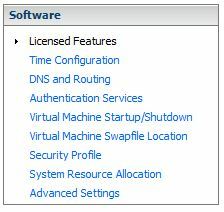 Once selected, on the right hand side you will then see the esxi options tabs. Select Configuration. Then down the left hand side select licensed Features. On the top right hand side of the screen you will see a small option, click it. You will then see the assign license popup screen. 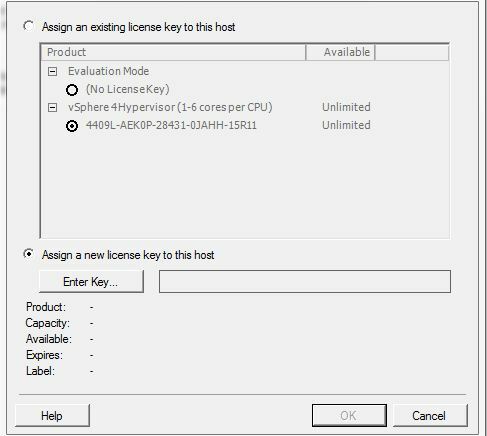 Select Assign a new license key to this host and enter your key. Vmware esxi is now licensed. So I let my trial of ESXi expire (thought I had already applied perm key via vcenter). Can you point me to the +1 please? Hi There, its just aboe your comment ..UNLESS your on chrome, safari or any apple product….google seem to be having problems with compatability at the minute! Thank you! 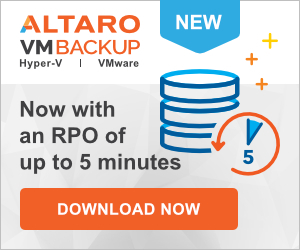 I couldn’t figure out how to install the license that VMWare assigned to me, and I didn’t see anything obvious.